The National Gay & Lesbian Chamber of Commerce (NGLCC) started in November 2002, when Justin Nelson and Chance Mitchell realized no one had really considered the economic equality of LGBT people or the impact economics could have on the equality movement. The two co-founders sought to showcase that LGBT people were business owners, employers, taxpayers, providers of healthcare ? that they were a vibrant, essential part of the small business engine that makes the U.S. economy run and therefore, deserved a place at the equality table. Their goal was to create an organization that could support LGBT business owners and showcase the diversity of talent in the lesbian, gay, bisexual, and transgender communities. NGLCC has succeeded in large part due to an amazing team and board combined with the caliber of businesses, corporate partners, and individuals that have become involved over the years. 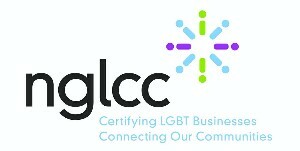 In early 2004, NGLCC created a best-in-class diversity certification program, making the organization the exclusive national third-party certifying body for LGBT-owned businesses. In 2002, the NGLCC became an entity to support and advocate for diversity and inclusion for lesbian, gay, bisexual, and transgender (LGBT)-owned businesses. The NGLCC Supplier Diversity Initiative (SDI) started in 2004 and offers businesses a tool to make connections and open doors with America's top corporations and each other. The SDI certifies LGBT-owned Business Enterprises (LGBTBEs) and works to provide opportunities for LGBTBEs to gain exposure within corporate procurement processes. NGLCC Supplier Diversity Initiative 2012 NGLCC Matchmaking EventThe NGLCC SDI offers certification to LGBTBEs, as well as a host of opportunities to enhance LGBT business' visibility to corporations seeking to do business with LGBT suppliers. Corporations can search for certified LGBTBEs through our exclusive LGBT supplier database, as well as meet face-to-face with potential suppliers at NGLCC SDI matchmaking events, which are held across the country throughout the year. Certified LGBTBEs may also be eligible Get Certified Apply for Recertification Leverage Your Certification Benefits Certification is an important marketing tool that can serve as a critical point of differentiation between your business and your competitors. Want to know more? Check out our Frequently Asked Questions. The NGLCC SDI was inspired by the Women's Business Enterprise National Council (WBENC) and the National Minority Supplier Development Council (NMSDC), and their missions to create opportunities for women and minority-owned businesses within corporate supply chains. The NGLCC was joined by first Founding Partner IBM, as well as Wells Fargo & Company, JPMorgan Chase, Motorola, Travelport, Intel, Wyndham Hotels & Resorts, American Airlines, American Express, Lehman Brothers, and Ernst & Young to create the NGLCC Supplier Diversity Initiative. Policy Priorities The NGLCC is taking an active part of discussions with legislators and government officials at a federal and state level, where it works to ensure the implementation of pro-business, LGBT-inclusive policies. We also work with federal agencies to ensure LGBT-inclusive federal procurement. LGBT Equality Advocacy The NGLCC ensures that economic arguments for LGBT-equality are heard and that business interests are considered when pursuing LGBT-inclusive policies. Marriage Equality DOMA (Defense of Marriage Act) prevents clear and consistent rules for business owners and corporations. When a conflict between federal and state law exists, such as with DOMA, it creates bureaucratic and economic inefficiencies. DOMA creates a separate payroll system and differing tax treatment of healthcare. In addition, our more than 140 corporate partners consider marriage equality when deciding on expansion and talent recruitment. NGLCC signed on to the amicus brief along with 247 partners to make the business case for marriage equality. Immigration Reform President Obama and NGLCC have made it a priority to fix our broken immigration system to support families and to help spur economic growth. Comprehensive immigration reform would help business owners attract and retain top talent from around the globe. NGLCC along with our coalition partners urges Congress to include LGBT binational couples in their ongoing process of reform. Employment Non-Discrimination It is not only morally wrong to ask the estimated 7.5 million LGBT employees or working adults in this country to simply park a layer of their identity at the door when they come to work; it?s also inefficient. Small business owners know employee engagement is a quintessential ingredient to a productive workforce and a profitable enterprise. Small Business Advocacy The NGLCC is proud to represent the interests of LGBT-owned businesses in small business and economic advocacy. Fix The Debt NGLCC is a coalition partner with the Fix The Debt campaign, a non-partisan consortium of business, social and political leaders to put American on a better fiscal and economic path. The campaign brings these leaders together around the common belief that America's growing federal debt threatens our future and that we must address it. Collaborations NGLCC is proud to work with a range of organizations to ensure LGBT inclusion in business. You can view our major partnerships and memberships below. Partnerships Federal Agencies We actively work with Federal Agencies to ensure procurement and programs are inclusive of LGBT-owned businesses. National Business Inclusion Consortium The NGLCC is one of several business advocacy organizations representing diverse business communities. These organizations work collectively as the National Business Inclusion Consortium. Memberships New Beginning Initiative The New Beginning Initiative is a collaboration of expert organizations designed to push for concrete changes to federal administration policy and regulation intended to benefit the lives of lesbian, gay, bisexual, and transgender people. Over 80 initial recommended policy changes span the White House and over 30 federal agencies, and are changes that the Obama administration can implement directly through rule changes, thus avoiding the need for legislative action. Fix the Debt Coalition Many Faces, One Dream Tour Council for Global Equality The Council for Global Equality brings together international human rights activists, foreign policy experts, LGBT leaders, philanthropists and corporate officials to encourage a clearer and stronger American voice on human rights concerns impacting LGBT communities around the world. Business Coalition for Workplace Fairness The Business Coalition for Workplace Fairness is a group of leading U.S. corporate and small business employers that support the Employment Non-Discrimination Act, a federal bill that would provide the same protections that are already afforded to workers across the country. The coalition is a collaboration between the National Gay & Lesbian Chamber of Commerce and the Human Rights Campaign. Respect for Marriage Coalition The Respect for Marriage Coalition is a partnership of business, civil rights, faith, health, labor, legal, LGBT, student, and women's organizations working together to repeal the Defense of Marriage Act by passing the Respect for Marriage Act.